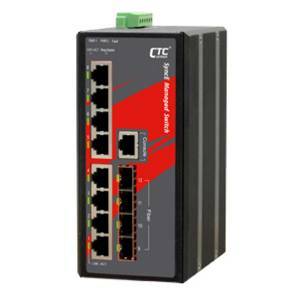 The Industrial Managed Gigabit Ethernet Switches IGS-series are specially designed for industrial networking and ensure proper work characteristics in harsh environments. 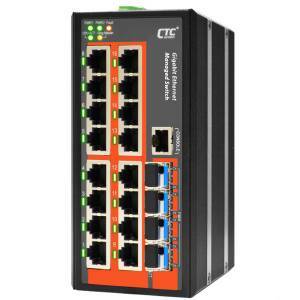 Each model from IGS-series has a considerable concentration of copper RJ-45 Gigabit Ethernet ports and several Base-X SFP ports. Having 2x power inputs, they can be powered from two independent power sources for uninterrupted and stable working. 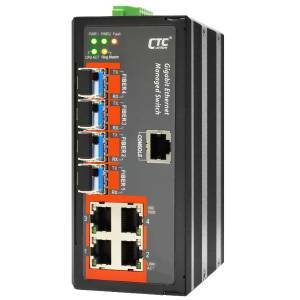 These industrial devices provide different network redundancy for u-Ring, u-Chain and sub-Ring topologies which can support ultimately 5 rings with the recovery time less than 10ms for a single point error occurs in the system. The IGS-series has FCC Part 15 Subpart B Class A, CE EN55022 Class A EMI and EMS certification which confirm better protection against unexpected lightning strikes, ESD or surges. 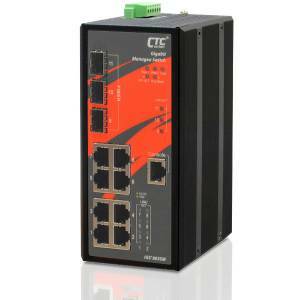 Besides that it has EN50121-4 Railway Traffic, EN61000-6-2 and EN61000-6-4 Heavy Industrial Environment certificates, shock, freefall and vibration IEC60068-2-27, IEC60068-2-32, IEC60068-2-6 certificates. 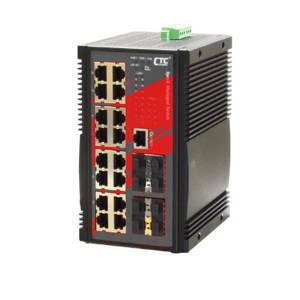 Some models supports SyncE and IEEE 1588 PTP v2 timing synchronization and also have wide (-40 to 75°C) operating temperature range.